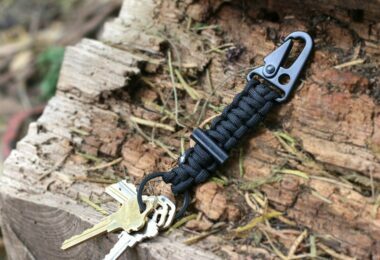 As a survivalist, it is wise to stay safe all the time, and one of those natural disasters you should always be aware of is the possibility of a coming tornado. As you know, it is best to stay updated than to be surprised, unprepared of this catastrophe. By keeping yourself aware, you will be able to have some time to prepare for the worst-case scenarios. Because even if these disasters commonly occur in the east side of the Rocky Mountains, they tend to occur in almost every state. In this case, it is not where you live to keep you safe but in your awareness of the coming danger. So what are the signs such a natural disaster will occur? In today’s guide, we’re going to highlight the most important indicators that a tornado will occur as well as safety tips when this unwanted visitor arrives. 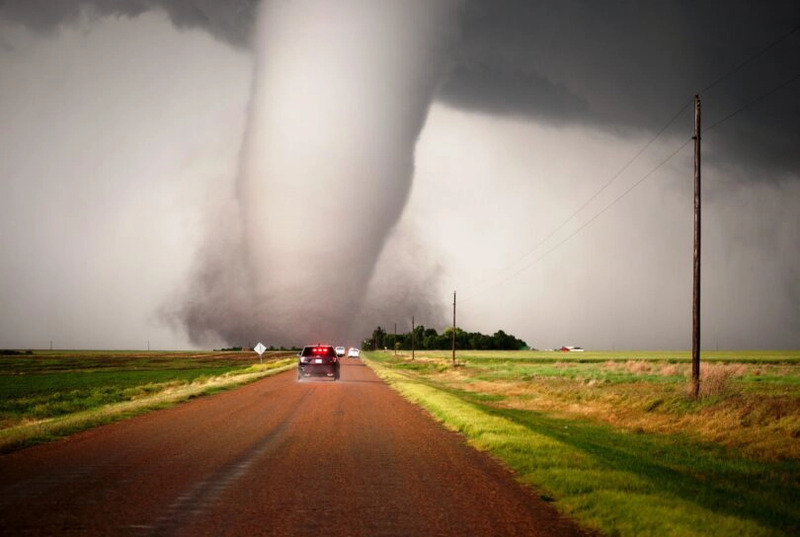 Be sure to read this article to increase your chances of survival when a tornado strikes. 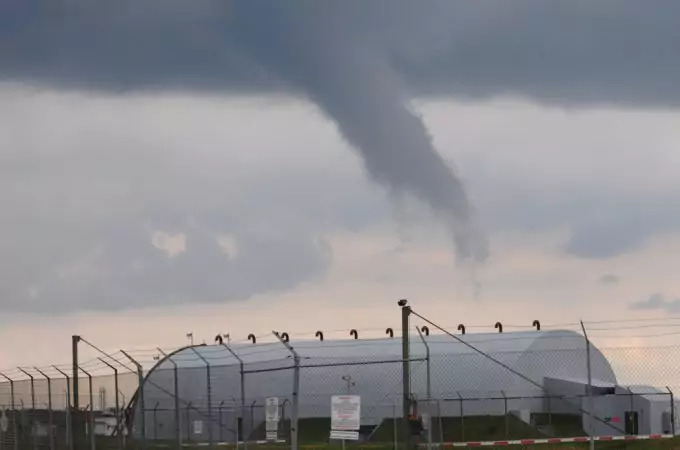 Well, the first thought that might come into your mind is the sight of flying cows and livestock, which most of us have seen in movies, but that’s not all that you can expect when a tornado comes. In this case, you may want to know what signs do exist when this calamity is about to take place or is taking place. For the most part, a tornado occurs in springtime, something that might make you tell yourself, “The spring season has officially started.” And yes, it does. And of course, the best way that everyone is informed of the coming tornado is through the television, where local reporters broadcast about a tornado warning, even while you’re watching a football game. See our article on the best emergency radios everyone should have to keep you updated on the latest weather news. And most of these reports warn just about 13 minutes before the tornado happens, but actually it might come sooner than this very short time. What’s worse is that not all areas receive this warning, and if you were living in one of those locations, it is best to know what to expect by watching out for the signs this calamity is about to strike. 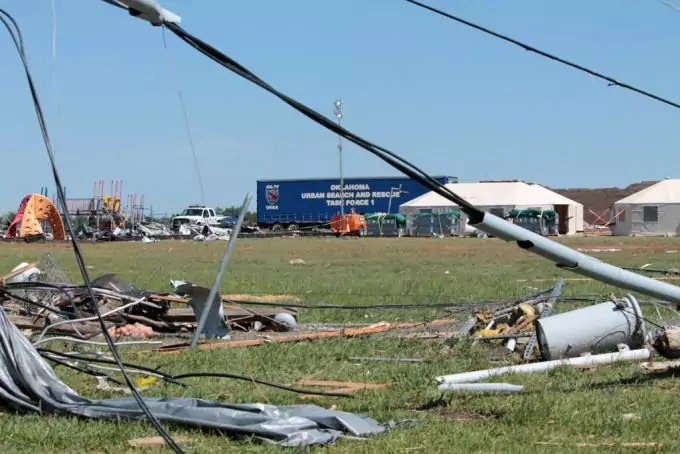 You might have witnessed the bad sights a tornado is leaving behind right after it affects a location or place and you might have seen how big the damage to properties, cars and livestock, among others this natural occurrence causes. In this case, you could just imagine how devastating and massive this occurrence is and that you should expect the worse so that you can prepare towards that direction (maximum preparation). Remember, tornadoes may occur at any time of the day, but usually in the late afternoon or early evening. Many of them also move fast from the southwest to the northeast, although they can also move in another direction. 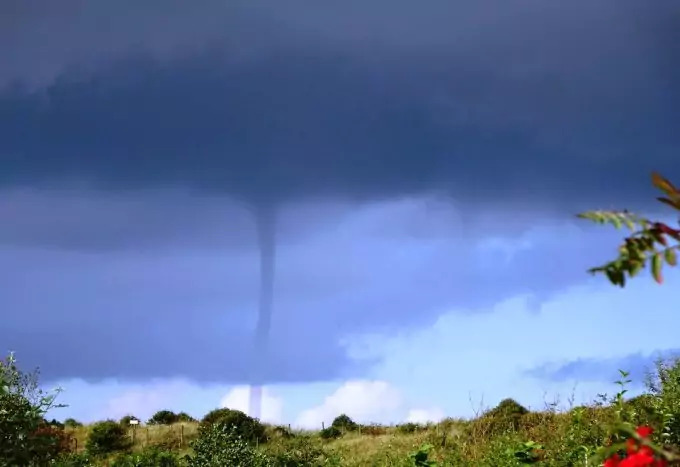 Usually, these have an average speed of 30 mph, although it can also differ from almost stationary 70 mph; commonly, a tornado may also stay in the ground for 20 minutes, but one can also touch the ground several times, usually in different areas. This is one of the most obvious indicators of a coming tornado, but it is not an ordinary cloud as you may think it is. And one obvious factor you will see is that this massive cloud is rotating and extending from a current thunderstorm you can see towards the ground. And aside from a funnel shaped cloud being very obvious, you might have heard before that tornadoes actually form or originate in one place. And in that place you could find a funnel cloud that is starting to form, meaning you can expect that a tornado is about to come. Worst thing is that when the weather is so rough, the more that it becomes stronger. If you could find the sky too dark due to a bad weather, you might want to keep your eyes in the sky. However, you should not be confused between the sight of a tornado and the sight of the Northern lights, also called aurora borealis. It’s one reason you should keep your eyes in the sky. You should remember that there would be a lot of hail coming with thunderstorms often resulting to tornadoes. So when you find that the hail is starting to be whipped around, expect that the sun will start refracting off the hail. As a result, the sky will start showing a green tint, but this should not be taken applicable in all cases. Sometimes, the sky does not turn green at all, so do not be fooled seeing just a very, very dark sky. Aside from a funnel-shaped cloud and green sky, don’t forget another sign of an approaching tornado when you see a cloud full of debris. The truth is that you sometimes cannot see the funnel of this disaster, but you can always notice a cloud of debris that is fast approaching. This is one of the main signs of a danger coming and may be hitting your way. You will notice that after a thunderstorm, there is a strange kind of calmness in the surroundings and a very peculiar kind of silence. You should know that this might not be the end of the calamity that a thunderstorm brings. Perhaps, a tornado is coming. In fact, you should not be surprised to see a clear sky in the wake of the tornado. Do not be fooled by this strange silence and think that everything is over, but the danger might be on the way. One of the tornado signs is the tendency of falling debris from the sky. There will also be strong winds nearby, producing a noisy, roaring sound. If you can see that debris is falling from the sky, you should seek cover right away, as it might be a car about to fall over. Well yes, the danger signals his coming with a very loud roar you will hear in the sky. It would feel and sound like the end of the world for some, and even children fear it, just as they are scared of roaring thunderstorms. When a tornado is coming, you can hear a non-stop sound from the sky, or like a rumble that a train is giving off. You can hear so much loud noise coming from the surroundings, and this includes the high velocity of the winds, making a tornado a more dangerous calamity. On top of that, there is also debris that tornadoes take with it, and these things are hurling around and smashing with each other as well as in the things that they pass to along the way. In the absence of rain, you can still see the presence of hail and this is something to watch out for if you want to keep yourself aware of the tornado signs you should be extra cautious of. You can also notice that the wind is dying down, as if everything is back to normal, but not at all. Remember, you should know the difference between a tornado watch and a tornado warning. The tornado watch means that the tornado is likely to occur in the watch location. If you are included, start reviewing some emergency plans, preparing your emergency kits, checking your supplies and getting your family in your underground shelter, if you already have it. As soon as you have learned that your area is part of the watch, you should act fast, knowing that a tornado can be fast approaching, too. Act early and save the lives of your loved ones. 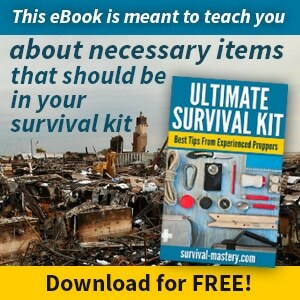 Be prepared – read our piece on what to include in your disaster preparedness kit to help you. When it comes to the tornado warning, it simply means that a tornado has been detected by the weather radar. Usually, it will then indicate the danger is approaching and posing risk to properties and lives. In this case, you should evacuate fast and go to the underground shelter. Otherwise, you can go to your interior room or a storm cellar. You should observe the sky for green and blue flashes close to the ground, an indicator that a tornado may be on its way. It is also a sign that the tornado might have already snapped power lines due to the strong winds it carries. When you notice this condition around, take extra precaution and seek shelter right away. Experts say that the most basic of things to remember is that you should keep yourself low into the ground or seek shelter underground. But make sure that you cover your head with your hands and that you stay away from the windows and any objects that might fly away and hit you. You should also find a place to meet for your family if you are not at all together when the tornado comes. Some families are not together, because some members may be in school or at work during a tornado. The problem is that it is hard to find phone lines and other means of communications because cellular network lines might have also been destroyed. Observing tornado signs is good. One way to do it is to see the bottom of a cloud’s base. You can look closely to check if it is rotating slowly, and then see if the cloud base of a storm is lowering to the ground, combined with whirling, massive dust just above the ground. You can see it beneath a big storm cloud base. This can also be a sign that a tornado has already formed. And if you see bright flashes in the ground and just right near a thunderstorm, you may expect that a tornado may be coming your way. This scenario might also suggest that it has started blowing off the power lines and transformers. 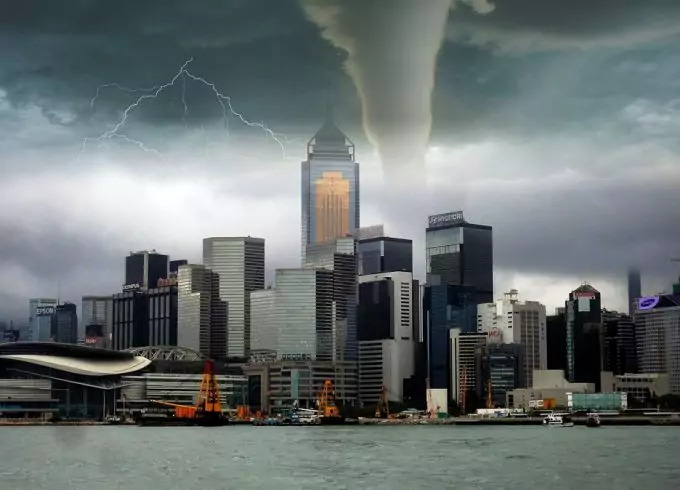 You should know that tornados are violent and that they can destroy virtually everything that they come across to, including uprooting trees, destroying houses and structures, hurling and smashing objects and producing a massive destruction to the place. Apart from noticing that the extensions at the thunderstorm’s base down the ground, you should also take note of safety tips for your survival during a tornado. 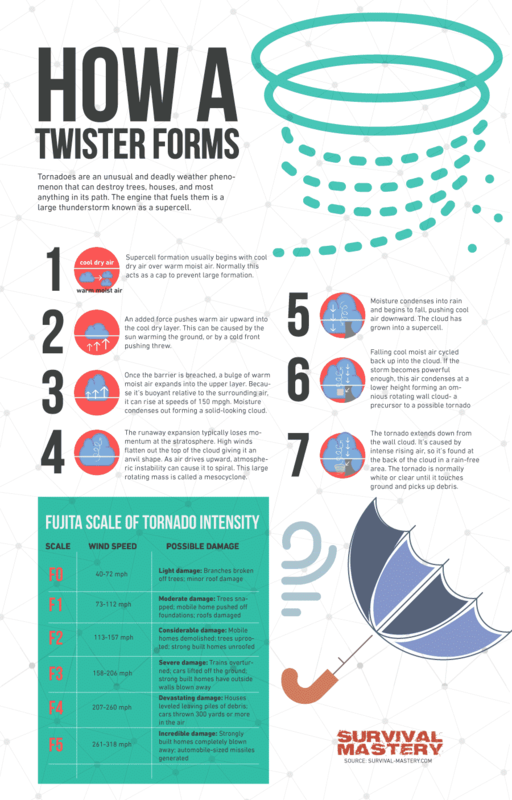 Know that a tornado is classified based on the Fujita Scale, coming with ratings of between F0 and F5 (weakest and strongest). If you live in a mobile home for instance, know that this is not a safe place and that you should evacuate right away upon learning of the tornado warning. This applies to homes without basements/foundations as well. In some communities, there are storm shelters where people can gather and stay before the disaster strikes. If you do have this type of shelter in your community, pack your emergency and survival kit and go there with your loved ones. Better yet, see our piece on how to make your own underground storm shelter to keep all your loved ones safe. However, there are some communities without this shelter, and for that matter, many people only find a strong building nearby. But if you don’t have much time left to do that, you can find shelter in sturdy structures at home, but remember you should not go anywhere near the windows or doors that might fly away due to the strong winds. Instead, you can go to a closet or you can climb into your bathtub before covering yourself with thick paddings, such as blankets or mattress. 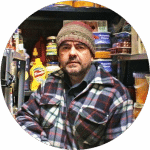 Now if your home has a basement, bathroom or corner room, you can go to any of them to hide, as they can offer you with more protection. You can also depend on plumbing and concrete walls located around you for better protection from the evil tornado. By doing this, you can minimize your risk to having your home to be caving in you as well as it can protect you from any flying objects. But if you are living in a place where there are high buildings, dormitories and apartments, you should move into the lowest level quickly or going to the innermost part of the building to find. Do not take the elevators during the tornado, as they may stop working when the power is out; therefore, it will get you stuck inside it and not be able to escape anymore. Then, do not go into a vehicle, one of the worst places to be in during a violent tornado. If you are inside your vehicle, you should get out of it as quickly as possible and find the sturdiest structure to get in. Remember, these tornadoes also track the southwest going to the northeast direction. You can start driving in a right angle to the thunderstorm and then be as far from it as possible while you can. The problem is that a tornado can also go into another direction, making it extremely dangerous for its unpredictability. If you are inside the car and that the storm is coming fast, you should start parking your car and finding a strong structure or building. 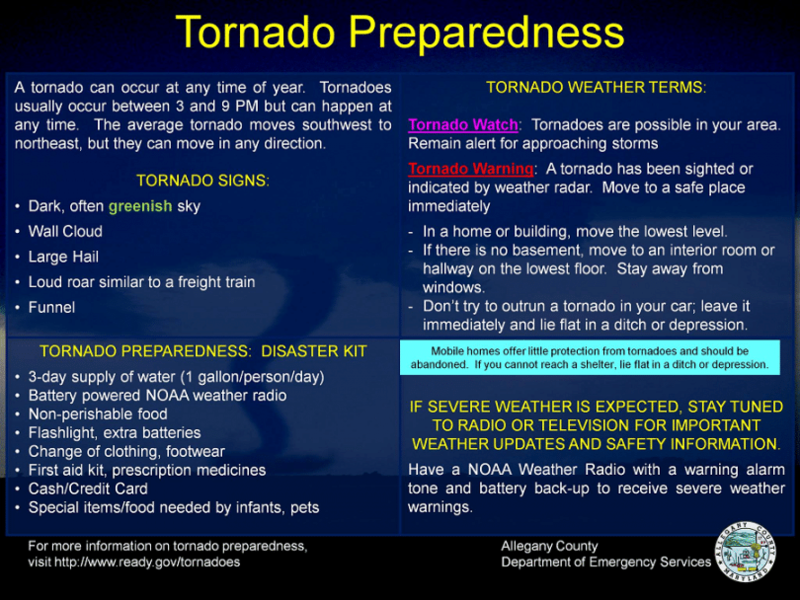 Avoid being near vehicles because they are a tornados favorite to pick up and to drop. When you hear of a tornado warning, you should plan and seek shelter immediately, especially if you are in the Rockies. If you are looking to buy a property in this location then, you should not do unless there is an interior or a storm cellar. Nevertheless, you should seek shelter right away, ideally in a windowless room or somewhere below the ground. As you know, a tornado is very powerful that it has the capability of uprooting trees, which roots are networked widely underground. In a windowless room, you should be able to store and prepare padded mattresses and blankets and a small transistor radio, too. Do not strike a match unless you are very sure that you did not have a gas leak or any appliance that holds gas, as it may explode if exposed to fire. Smell and check for any gas leak after the storm, and in case you discovered it, you should open all the doors and get out of your house. You should also watch for any electrical wires that can spark the piles of debris. You should also see if any of your appliances is emitting sparks or smoke. 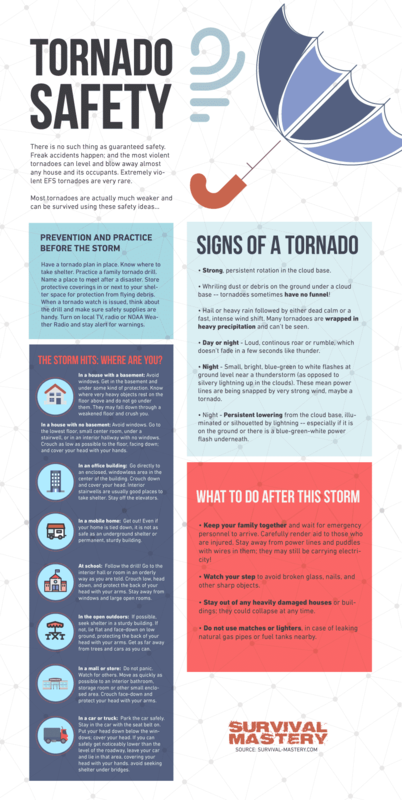 There you have our guide when it comes to looking for tornado signs as well as safety tips for your family’s survival. 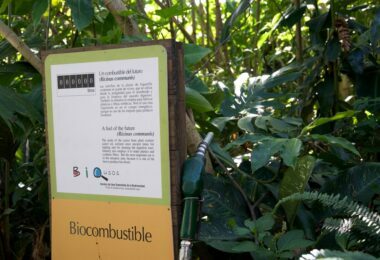 Definitely, these signs may not be all, but the list is a good way to start for survival. Perhaps, it is best prepared than be surprised not knowing of the signs you have to watch out for. And if you live in tornado prone location, you should always be prepared with a disaster evacuation plan and with an emergency kit for your family. 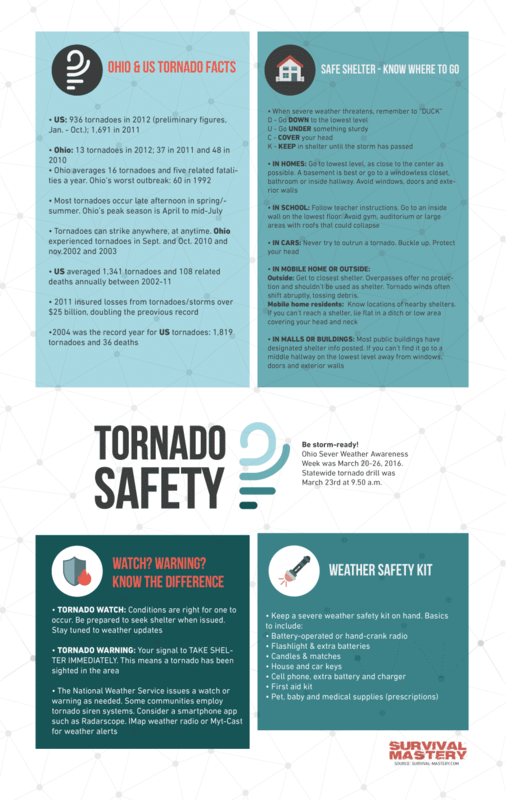 And if you find this guide useful, feel free sharing it to spread the word to others looking for the same information about tornadoes. Check out our piece on how to select the best solar radio to prepare you for any emergencies – it’s a must-read for all.